2. 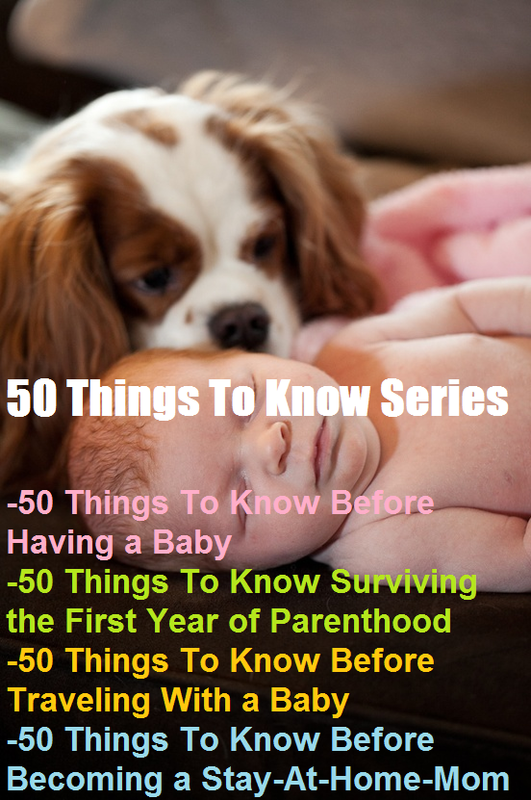 Long Term Goal Outside of FamilyThe outlet that I choose is this blog and my book 50 Things to Know Before Having a Baby. While I am not doing the exact same work that I was doing before the baby, I love technology, and teaching others. I still found a way to do this. You can’t be a Mom 100% of the time. Doing other things will make you a better Mom. I believe starting and exercise routine is very important. I used the Insanity DVD’s to get back in shape after pregnancy. I do them in the morning during play time. If our little girl would cry, I could pause them and then get back to it. Believe me I needed the pauses too because the workout is hard. You can’t just stay home all day. You should get out with others. I now have church groups, play games at the coffee shop, mothers group, and shopping. 7. Money– Going from making what my husband made to making nothing felt different. We have savings but we don’t have the same lifestyle we did before. We do save money by not going to the bar, not eating out as much, and having different weekend activities. As a stay-at-home Mom I don’t pay for Gas, lunch out, new clothes, and dinner out as often. These cost add up over the year that I know is savings. Your old friends may change because you are a Mom now (mine did) but you need to interact with other people outside of the house. Taking to other adults is important. And no you can’t check facebook all day. You may eventually need some time off. A family member of friend can help you. “It takes a whole village to raise a child”. You don’t need to be a 100% stay-at-home Mom. You can get a part time job. I thought about becoming a substitute teacher for one day a week. Some daycare will take children for the day. A family friend may need some extra income and would like to watch your child for one day a week. 19. Priorities– This about what is most important to your family. Then try to get there. 20. Balance- I have found it difficult to create balance in my life as a stay-at-home Mom. I try to balance many things but don’t come close. I learned this phrase in my Woman’s bible study last week. This is something I need to remember especially when I am tired.